This is a classical thread in every musical Forum out there. Last edited by Luiz Gazzola (Almaviva); December 8th, 2011 at 04:40 AM. I love Ewa Podles in the role of Polinesso here. Although I'm not entirely convinced by Anne-Sofie von Otter singing Handel, I very much enjoyed her rendition of Scherza Infida yesterday. I had reached a point on my walk where I was on a little bridge over a tidal estuary. I stopped walking and listened to this lovely aria, basking in the sun, gazing at the honeysuckle on a nearby bank trailing in the shimmering water and watching a cormorant catch its breakfast. A magic moment. 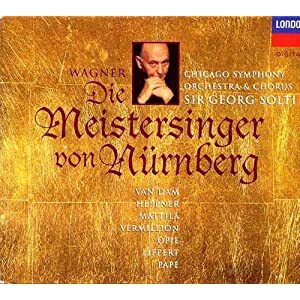 The Solti CSO Meister came in a luxury 50th golden jubilee package with massive booklet, the other forum Fav CD thread convinced I need this, performance/cast seems very good to me with great modern sound. Though quality isn't perfect I enjoyed it very much. I picked it to exclusively to hear Kraus in this role and I don't regret it - I never understood what people mean when they say that's some singer sounds "aristocratic", but Kraus made me understood that, he has such noble grace in his voice and singing manner - but I was also pleased to hear Corena whose Dulcamara really sings instead of groaning which often happens to others in this role. Borrowed this from the library, I'm glad I didn't buy it. The 61-year-old Edita Gruberova is at the limit of her powers there, as you could tell by the awful last note, and although her achievement is impressive I didn't entirely enjoy it. Alice Coote sounded uneven (surprising, she's usually very dependable. The performance I enjoyed the most was Pavol Breslik. The staging by Christof Loy was Regie lite and rather dull. and I wondered if you might be referring to this very one. I'd checked it out from the library a few months ago, and was disappointed in Gruberova's performance. 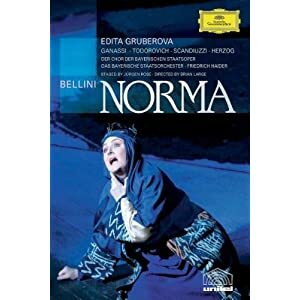 Also, I couldn't help laughing at the promoters of the video, who put a picture of Gruberova in an elaborate period gown on the cover, I assume in the hope that the buyer won't realize that she and the other singers are more-or-less on an empty stage, throughout the opera. Yes, not a good one in my opinion. I think the opera is very good, but this production is sub-par. Yes, the music is lovely, but I think the opera slightly lacks in dramatic impetus. 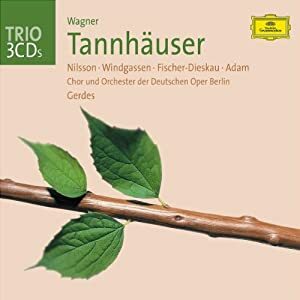 I mean, very good, relatively speaking (and I agree, more for the music than the theatricality), since it is far from being among my very favorite Donizettis. But an average Donizetti is still better than a lot of what is out there. 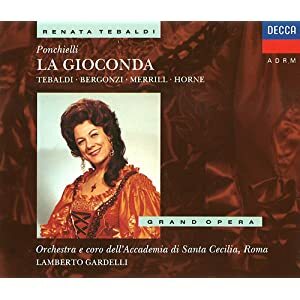 On the other hand, he was so prolific, we don't know whether his obscure ones were good or a total disaster - but of his operas that I know - about 12 - there is only one that I don't like, and that's Don Gregorio. Before I saw Don Gregorio I was under the impression that he couldn't go wrong. I guess he could. OK guys, this is fantastic for these reasons. A wonderful cast lead by the stunning Stéphanie d'Oustrac. She just keeps on getting better. A beautiful production which is traditional without being stuffy. Even the dances looked as though they were something that the Sun King would have recognised. The costumes are particularly glorious. 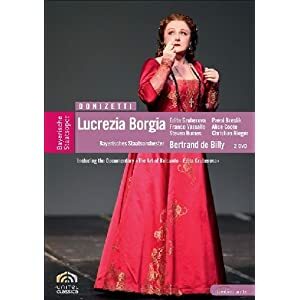 I think this might be Lully's best opera - the music is absolutely gorgeous. A great in-depth documentary about the production and the historical background. Last edited by Soave_Fanciulla; December 19th, 2011 at 01:35 AM. 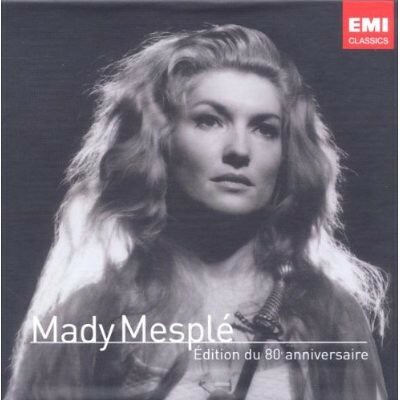 Mady Mesplé! 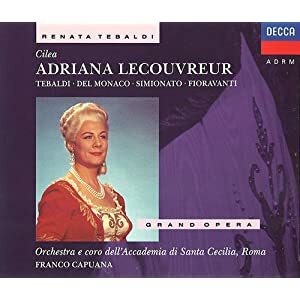 Currently listening to disc 1: Léo Delibes, Jules Massenet, Ambroise Thomas, Edouard Lalo, Jacques Offenbach, Rossini and Donizetti. 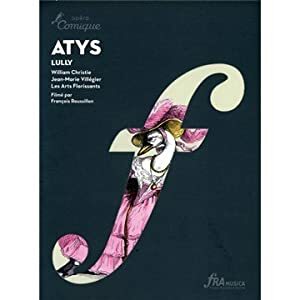 A beautiful singer... and her chosen repertoire includes much goes beyond the usual focus of many soprano recitals (Puccini, Mozart, Verdi, etc...) including airs and operettas, French melodies, motets, chanson... and even some then "contemporary" French songs. This clip featuring a coloratura aria by Rossini gave quite a range of her voice. Another Werther, with Carreras and Von Stade. Nice thing. Are there bad Werthers? I guess Gheorghiu/Alagna duet didn't get to it? Let me see... och, well, they did. But who says it must be bad. I don't know, just in case I will keep away from it because I'm cautious. Kraus/Troyanos next in the line. Maybe tomorrow or maybe after Christmas because I need some good perspective ahead of me not to shoot myself on the eve like Werther. I've already checked and seems like Kraus is brilliant there, even if not perfectly expressive.